NICKNAMED "WILL o' the Wisp," for his elusiveness, Pep is one of boxing's all-time great artists. Legend has it that Willie once won a round without throwing a punch. Pep held the featherweight title for six years and outboxed all comers. 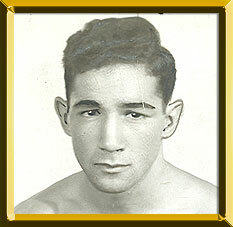 He is best remembered for his physical four-fight series against fellow Hall of Famer Sandy Saddler. He turned pro in 1940 and won his first 63 fights. In 1942, he won the featherweight title by decisioning Chalky Wright. His first loss came the following year when he dropped a non-title fight to former lightweight champion Sammy Angott. Pep retained his crown -- beating the likes of Sal Bartolo, Wright and Phil Terranova -- until losing to Saddler in 1948. Pep regained the title by decisioning Saddler in a rematch four months later. He managed to keep the title by making defenses against Eddie Compo, Charley Riley, and Ray Famechon. But a third match with Saddler was inevitable. When they met again, in 1950, Saddler regained the crown with an eighth-round knockout. The two legends would meet one more time on 1951 and Saddler scored ninth-round knockout. Pep continued fighting until 1959 and beat such notables as Willie Roache, Charles (Cabey) Lewis, Spider Armstrong, Joey Peralta, and world champions Manuel Ortiz and Paddy DeMarco. He returned to boxing briefly in 1965 but retired again in 1966 after losing six-round decision against Calvin Woodland.